Then of course there are lenses that can change focal length (like the kit lens that probably came with your camera) and these are known as Zoom Lenses. Those that have a fixed focal length are known as Prime Lenses. Lenses are measured in millimeteres, which refers to the distance between the glass and the sensor. Lower numbers are wide angle, going up to larger numbers which are telephoto. In the old pre-digital days, a standard lens was usually 50mm (remember it mimics the angle of view of the human eye), but unfortunately it’s not quite so simple now as different cameras have different sizes of sensor. If you have a top of the range ‘professional’ DSLR it may have a full-frame sensor, in which case 50mm is still standard as the sensor is the same size as a 35mm film frame. If your DSLR is more of an ‘enthusiast’ camera it probably has a smaller APS-C ‘crop’ sensor which effectively increases the focal length of a lens by 1.6. So your standard lens will be about a 34mm. If your camera has an 18-55mm kit zoom lens, it has a crop sensor so your kit lens covers a basic wide angle through to a short telephoto. So what do we use different lenses for? The table below shows approximate examples of the focal lengths for the main lens types for both Full Frame and Crop Sensor cameras. But it’s not as simple as just the focal length – you can pick up lenses for £50 or you can pay several times the price of your camera body! So what’s the difference? Well, quality of build, the glass etc makes a difference, but surely not THAT much. Let’s say your interest is in taking photos of football or some other sport. You really need a telephoto lens for this kind of use so that you can focus in on action that’s a distance away from you. 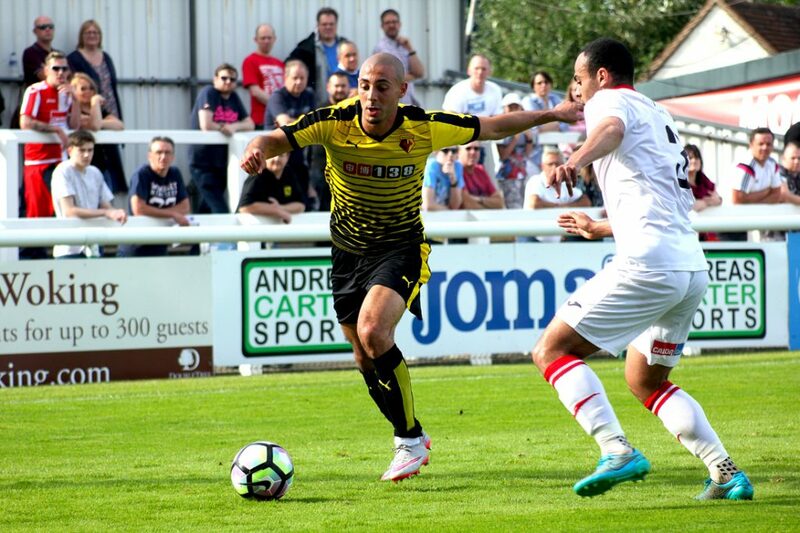 The shot below of Watford’s Nordin Amrabat is pretty decent and was taken with a budget zoom lens (Tamron 18mm-200mm that sells for less than £200) on a standard, entry-level crop factor DSLR. Effectively that gives approximately the same magnification as using a 24mm-300mm lens on a full-frame camera, although this shot was taken at around 130mm. 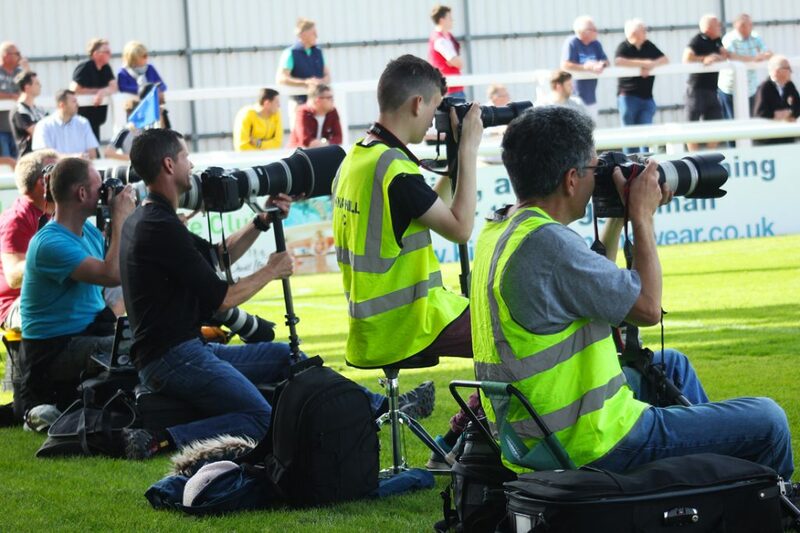 But, if you’ve been to a football match, you may have noticed the photographers using lenses that almost need to be carried around on a wheelbarrow; and you can probably guess you’d almost need a second mortgage to buy one. 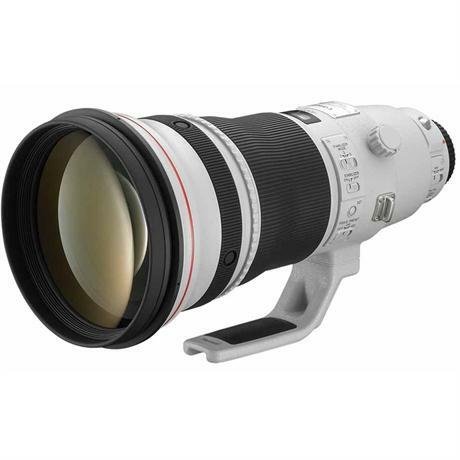 A large 400m telephoto lens with a maximum aperture of f2.8 and a price of £10k!! So what justifies the massive difference in price? In addition to quality and technical specification, the maximum aperture is much wider. At full zoom, the Tamron’s widest aperture is a very modest f6.3. The 400mm lens above, which will cost you just shy of £10,000 (yes really!) can give a wide aperture of f2.8. In lens-speak, one that allows a particularly wide aperture is called a Fast Lens – it means you can use faster shutter speeds beause it lets in more light. In sports photography and wildlife that’s really important because you need to focus in on distant subjects and freeze the action with a fast shutter speed even when the light isn’t that great. The football shot was taken was at a pre-season friendly in the summer, so the light was really good. But in the winter, when the majority of football matches take place, using the budget lens would mean giving up trying to take decent photos at a game when the light is poor and the floodlights have come on. But the pro’ with the mighty lens can still keep going and will also get much better blurred backgrounds due to a narrower depth of field. But of course, the faster the lens, the more you’re going to pay! So there’s no need for us mere mortals to go quite to the £10k mark for new ‘glass’, but before you go out looking to add any new lenses to your setup, make sure you know exactly what type of photography you want to take and what kind of lens will help you take them. Shop around for affordable solutions, but be aware of the limitations and ask yourself if you are able to live with them.